Our elected body and our staff will create an organizational culture of workforce enrichment, encouragement, teamwork, trust, respect, creativity and innovation. We will be leaders in innovation, fiscal responsibility, targeted financial resource planning and have a sustainable tax base. – Strategic Priorities of Butts County. Commissioner Ken Rivers, District 1, elected 2016; took office 2017; first term. Commissioner Rivers represents the north, northeast and eastern portions of Butts County including Worthville, Jackson Lake and Stark. 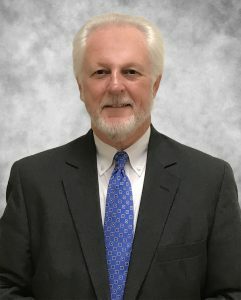 He is an insurance professional who owns his own insurance business and is a graduate of the Georgia Academy of Economic Development. In October 2017, he completed the requirements to become a Certified County Commissioner from the University of Georgia and ACCG. He was elected Vice Chairman in 2018. Follow Commissioner Rivers on Twitter @KenRiversNet to keep up with things going on in District 1 and the County. SECOND DISTRICT-ROBERT L. HENDERSON, SR.
Commissioner Robert L. Henderson, Sr., District 2, elected 2008; took office 2009; second term. Commissioner Henderson represents the southeast and southern portions of Butts County including Flovilla, Cork, Mt. Vernon and portions of Jackson. He is the owner of R.L. Henderson and Sons Tree Removal Service and also serves as the Pastor of Rock Creek Baptist Church in Indian Springs. He holds certification as both a Basic and Advanced County Commissioner. He was elected Vice Chairman for 2013, 2014 and 2015 and became Chairman in 2017. Commissioner Joe Brown, Jr., District 3, elected 2014; took office 2015 and reelected 2018. Commissioner Brown represents the southern, southwestern and western portions of Butts County including south Jackson, Towaliga and portions of McKibben. He is currently employed as the President of American Mills. 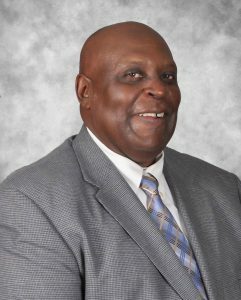 Prior to his assuming this elected office, he served for a number of years on the Butts County Industrial Development Authority, as well as multiple terms elected to the Butts County Board of Education as a school board member. He is a Certified County Commissioner and was elected to serve as Vice Chairman in 2017. 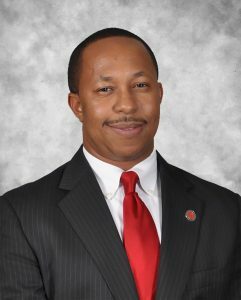 Commissioner Keith Douglas, District 4, elected 2009; took office 2009; re-elected 2010, 2014 & 2018; completed previous commissioner term and is currently in his second term of office in his own right. Commissioner Douglas represents the central district which includes portions of Jackson, southern Jenkinsburg; Shiloh and surrounding areas. 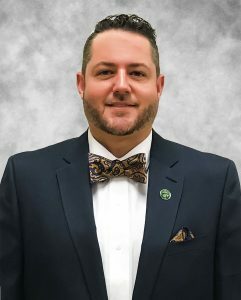 He is employed by the Georgia Department of Corrections and holds certification as both a Basic and Advanced County Commissioner, as well as having completed the Specialist Certification in 2017 in the field of Intergovernmental Relations. He served as Vice Chairman for 2012 and as Chairman in 2016. Commissioner Russ Crumbley, District 5, elected 2016; took office 2017; fourth term (nonconsecutive). Commissioner Crumbley has previously served three consecutive terms from the mid 1980’s to mid 1990’s. Commissioner Crumbley represents the west, northwest and northern portions of Butts County including Worthville; Fincherville and North Jenkinsburg. 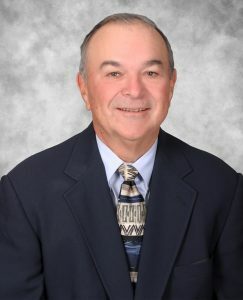 He is retired from Central Georgia EMC and currently works for Sherrell-Westbury Funeral Home of Jackson. In 2017, he completed the course requirements for Certified County Commissioner through the University of Georgia and ACCG. He was elected to serve as Chairman in 2018.